At Koinonia we believe the education process is a partnership between parents and the school with God at the centre. Your child is encouraged to achieve his/her best and is both nurtured and guided in a loving Christian environment. 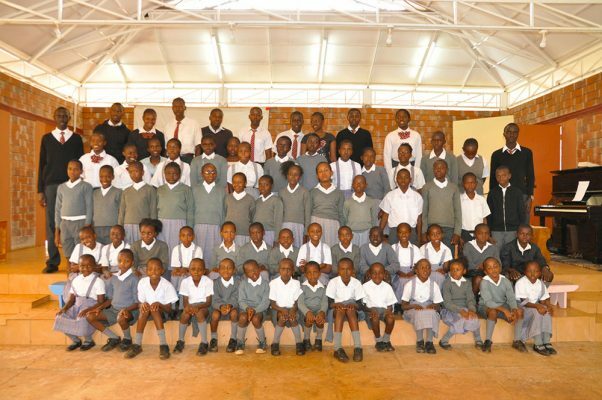 Koinonia Education Centre is a mission school established in 2003 to provide quality education to disadvantaged children from Kibagare slums in Nairobi. It begun with a student population of 16 kindergarten children, this population has grown from the yearly intake of four year olds. Today this number has increased drastically. The project was started by Koinonia Ministries. The school charges minimal fee tuition from kindergarten to high school. It currently does not generate any income but relies solely on donations from well-wishers. The project aims to improve the children’s lives through provision of a quality education. This education is aimed at helping them achieve their potential through positive character building and spiritual moulding. With this, it is hoped that they will impact the lives of those around them and their community as a whole. We hope to produce future leaders to work alongside their privileged counterparts not as support staff but as peers in professional fields. Koinonia’s basic goal is to offer an educational choice to families who want a biblical alternative to secular educational programs. We endeavor to impart Godly wisdom directing the children towards Godliness of character and action. We build in a child’s heart a lifelong passion to learn, grow spiritually, and provide a child with academic and Christ-like character training that will assure s/he becomes all that God has purposed. to lead others to Christ. Biblical excellence to worship God. When staff, learners and families work together, a positive and productive learning environment is established at the school, ensuring that goals are set and achieved. Following a set Code of Conduct establishes the level of behavior expected for all, so that we have the best possible school where success and achievement are reached through cooperation, courtesy and respect.